Siesta Summer 2014 Bible Study: Anybody Game for “Children of the Day”? It’s almost May and, around here, that means it’s time to announce our Siesta Summer Bible Study for those who are itching to take a journey together. In all these years of doing summer Bible study together here on the blog, we’ve never gone through one I’ve authored. The biggest reason is that I really love to go through other authors’ courses with our blog community. That’s a refreshing blast of Holy Spirit-breath to me and you can count on us doing that again next summer. The other reason is that the launch date of one of mine never coincided well with the beginning of summer. With Children of the Day (an in-depth study of 1st and 2nd Thessalonians) coming out in May, the timing works out perfectly. I ask you to trust my heart on this and know that we’re not doing the study this summer so that I can drive up sales. I can’t prove my motives to you but I give you my word. That’s all I know to do. Any of you who still find it uncomfortable can, by all means, choose another Bible study by a different author and feel completely welcome to formulate your group right here in the comment section to this post. Just start your comment with the words in all caps “ANOTHER OPTION” and get together on line and choose which Bible study you’d like to do. There are so many fabulous ones available. You have my complete and joyful blessing to use this community to put your group together. Any way we can serve you is a tremendous honor to us. * We’ll start Tuesday, June 3, 2014. Around here at Living Proof, we formed the habit of Tuesday Bible study over the years so that’s why we choose it as our gathering day but you are welcome to commit to any day of the week that works for you. Simply adapt the instructions to that particular day. * Children of the Day is an 8-week study so we will wrap it up on Tuesday, July 29, 2014. * As we’ve done in past summers, we’re only asking you to commit to “gather” with us and/or with your group every other week since summers are so busy. We will still stay on schedule for each week’s homework but you’ll only need to check in once every 2 weeks. * I will put up a short video greeting here on the blog by 8:00 AM every other week on our gathering days, starting with Tuesday, June 3rd. The greeting will include instructions for discussion in your small groups or with the blog community at large. Your “discussion” with the blog community will take place through your response-comment to that post. * We strongly recommend forming small groups for the pure camaraderie and accountability of it but you are also very welcome to go solo. The best small groups of all meet face-to-face but, if that’s not possible, try to formulate one on line. You might even Skype. Do whatever would benefit you the most and offer you the fellowship we all need so desperately. * You only need the Children of the Day workbook to participate in the summer study. You don’t need to download the video sessions. All discussion questions will be based on the written work alone, as we’ve done in past summers, so that no one is forced into the extra expense. Each week we will put up a link to that week’s COTD video session for those who also want to include those but I will leave that option entirely to you. There will be no pressure whatsoever. People often ask if the video sessions and homework portions are the same lessons. They are not. They are designed to complement one another for a comprehensive approach to 1st and 2nd Thessalonians but they are not redundant. They are on different segments and concepts found in the 2 letters. GATHERING ONE: June 3, 2014 – Our summer Bible study launches! By 8:00 AM that morning, God willing, you will find a brief video greeting from me and instructions for that day’s participation/discussion. Again, you can do it any day that week. We’re just choosing Tuesday as our official gathering day. You will “register” for summer Bible study by leaving a comment on the June 3rd post with your name and city and whether or not you are participating in a group or going solo. I will give you the specific instructions at that time. At the bottom of the post will be a link for that weeks’ full-hour Session 1 video if you choose to add on that option. 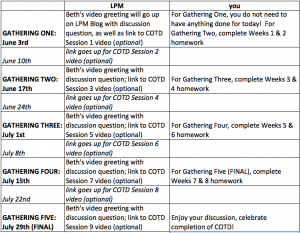 Do Weeks 1 and 2 of homework for Gathering Two. Do Weeks 3 and 4 of homework for Gathering 3. Do Weeks 5 and 6 of homework for Gathering Four. Do Weeks 7 and 8 of homework for Gathering Five. Sound fun??!? Yep, it also sounds like a bit of work but not a single word of Scripture will drop to the ground. We can have confidence in advance that the pursuit of Christ through His Word will completely alter the summer of 2014. I’m ecstatic to have the privilege of spending these 8 weeks with you in Bible study. You are a tremendous joy to me. Our God-given emphasis right now at Living Proof is on stirring up women who are less-discipled in Scripture to come to love Christ through His powerful, living, relevant Word. We would be thrilled for you to help us by inviting some women along who have never before done this kind of thing. Take the chance and ask them! So many women have a hunger for God. They just don’t know exactly how to identify it. Bring them along if God opens that door! Can’t wait to get started! Dearest love to you all! This entry was posted on Tuesday, April 22nd, 2014 at 2:40 pm	and is filed under Siesta Summer Bible Study. You can follow any responses to this entry through the RSS 2.0 feed. You can skip to the end and leave a response. Pinging is currently not allowed. I signed up two weeks ago, are we suppose to get an email so we can see today’s video? If so, I never did. Could you please send me the link? Hi Christie, often times it’s hard to depend on email, because it is sent through an RSS feed that we have no control over, so while your neighbor could get an email the minute a blog is posted, you may get it 24 hours later. Your best bet it to take a look a the blog every other Tuesday for the study questions. Here is the second session we posted this AM: http://blog.lproof.org/2014/06/siesta-summer-bible-study-2014-gathering-2.html. Hope that helps! Preparing to lead the women of Wiesbaden PWOC as President next year! Excited to spend the summer in God’s word with you all! I live in Devon, Alberta, Canada and I will be flying solo for this Bible Study. So looking forward to it! Enjoying The Children of The Day Bible Study with my daughter, Danielle! I would like to join, even though I am behind… can you please add me to list? and explain what I should do next? I am new to this part of Beth’s study. 4. To have direction while reading God’s Word. To really spend time understanding and applying His Word to my life. To develop a life-long “habit” to read the Word daily. 5. Have to finish a book/movie even if I don’t like it! Have to know how it ends! 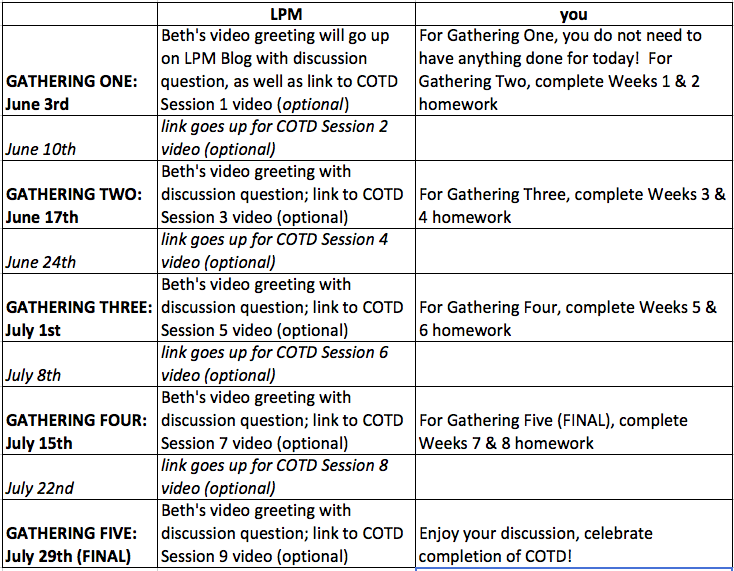 Excited to be walking alongside Beth and LPM this summer!! My friend Betty and I are doing this study together. 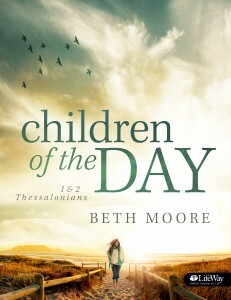 I have the workbook and am eager to delve into Children of the day!! I’ve been trying to see where to leave comments for the different sessions. I have not been able to locate it. Hi Elissa, you leave comments on the blog posts that correspond with that week. Every other Tuesday we will have a new blog post. It might be easier if you check back here every other day or so! Well! I am too excited for this, I think that Its a religious activity which makes our mind more clean and also good activity for our children. Thanks for sharing this information. Hello, I am participating in a small group study of Children of the Day with two other women. I am enjoying it so much! Loving the in-depth Bible Study. Walking close with Jesus is the only way I can survive as a stay-at-home mom of three preschoolers in VA! 🙂 Excited to spend my summer with Beth, studying Thessalonians and learning about my Lord. 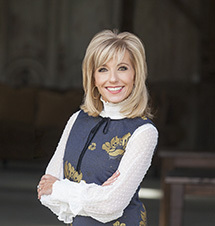 I am preparing for a women’s ministry at my church… just what we need. Just finding out about the blog study … so starting now! I just found this blog. Is it too late to join? Am looking forward to studying God’s word during the summer with other women. Please add me to the list! I’m late but excited to join in! I just found your site today and ordered my book. I hope its ok if I join in. I can catch up. Friend Introduced me to the book and I wanted to learn more about it. I also am starting late…but will catch up! My military wives group is doing this study together and we just watched session 4. We all loved the confession, and wondered if it is typed out and online? I live in Neosho, MO. however, I am spending my time in Clarksville, TN. enjoying the company of my 22month old grandson and his parents. I am doing this study with my sisters. One lives in Frisco, TX and the other in Webb City, MO. I’ve been following this Bible Study since it was announced in April, but June was packed with moving to a new home & celebrating the renewal of our wedding vows for our 10yr anniversary! So I’m back in the swing & anxious to start this study … and totally going solo bc I’m thirsty to get in the word even if it’s on my own with my Siesta Sisters here! 🙂 I bought the study guide today. I hope the post will still be available after July 29th so I can finish it! Love to you all at LPM! xo! I live in Michigan and have been doing this study with 2 other friends. We are really enjoying it. I am glad that I just came across this blog. I started your summer on-line study just sitting here at my computer and soon a dear, dear friend decided to join me. What a gift to have a pal come along so we could study together. We just finished on Monday and sat here pondering all we had read, learned and loved. We live in beautiful South Florida and today it is just that … beautiful. The study was so challenging and thought provoking. I will be thinking on these things for a long time to come. Your writing ministry has been a life saver for me … so much help with all that life has afforded.